Every company has its own particular demands with regards to producing and managing documents. These demands can arise from the volume of documents that need processing, the promptness with which information needs to reach others and more. Depending on the industry in which companies work, keeping information private and secure could be a major concern as well. Copiers Plus has products and services to benefit businesses in a variety of vertical markets. We’ll work with you to find a solution that suits your document production and management needs. Read how our products and services apply to different markets below. If you work for a law firm or another organization connected to the legal industry, managing information properly is a major concern. You could be legally and ethically bound to keep clients’ information confidential. On top of that, storing your paper and digital documents while keeping them easily retrievable can prove difficult. Losing or misplacing crucial documents could negatively impact your reputation and your business. Inefficient storage and printing practices can eat into your budget too. Copiers Plus can help companies in the legal industry lower costs while making their information both more secure and more accessible. With our Managed Document Services, you can make your printing practices more efficient. This could involve swapping out outdated equipment with our multifunction systems and deploying them for maximum productivity. Also, our available document solutions will enable you to route and index the files on your network quickly. You’ll be able to monitor and control who accesses your files and retrieve them easily whenever the need arises. Hospitals and companies in the medical field need to take information management seriously. To stay legally compliant and care for patients effectively, you need to keep records and other documents ordered and protected. Not doing so could harm both your business and your patients. Copiers Plus’ stock of equipment and software can help healthcare businesses manage their documents better. Our multifunction systems allow you to both print documents quickly and capture them for storage or distribution. You can become even more efficient with our Managed Document Services, which examine your printer usage and help you pinpoint ways to cut costs and waste. Copiers Plus can also provide document management software from docSTAR, one of our industry leading technology partners, that can help you better regulate the flow of information through your business. You can keep patient information secure, route documents to appropriate personnel automatically and find records quickly when the need arises. Keeping operating costs low is a high priority for nonprofits. Of course, between saving and organizing records and producing pamphlets, booklets and other material for various events, this can seem easier said than done. Copiers Plus can help nonprofits make their resources go further. Our multifunction systems combine the features of multiple devices into one. This will allow you to both conserve office space and save money connected to buying and maintaining equipment. 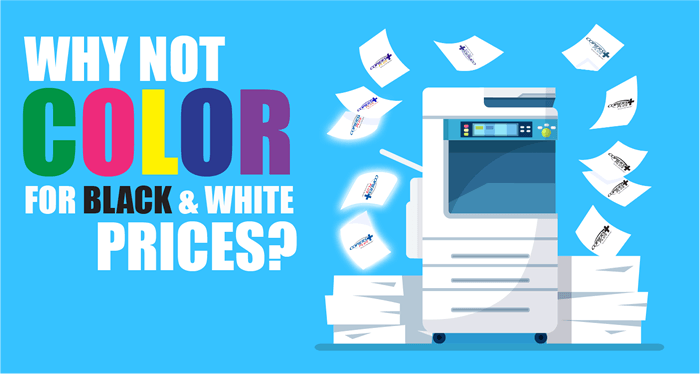 We also offer printer services, which allows clients who can’t afford their own equipment to take advantage of our available devices and expertise. For any business that needs help beefing up its marketing campaign or displays, Copiers Plus offers commercial printing services as well. We can print flyers, banners, vehicle wraps and more. For more information, visit our Commercial Printing page. If you have questions about how our products and services can benefit your industry, contact us. It’s already facilitated an increase in efficiency and responsiveness to our clients...It’s the best investment I have made for my business! !